For many of us in our daily lives, we find ourselves racing around in the morning to get to our destinations. This leaves us with little time to sit down and eat a balanced breakfast without being rushed. It’s time to slow down our lives, take a vacation and find one of the local breakfast spots in the area and enjoy our food with good company. Here are some of the local favorites for when you are vacationing in Maine. Located in Bar Harbor, check out their crepes- there are 18+ options for how you would like your crepe prepared. Whether you are looking for a savory or sweet one, there are plenty of options. If crepes aren’t your thing they have breakfast sandwiches, homemade baked goods and more. Start your morning out with a latte or cappuccino before you head into the heart of Bar Harbor to go shopping with your friends. Open 7am to 4pm daily. Is located in downtown Bar Harbor. This seasonal diner opens Mother’s day weekend and closes mid October. When the sunrises is when the doors open for the day, perfect for those who want to fuel up before their busy day of hiking at Acadia National Park, paddling around Jordan Pond or stopping in after watching the sunrise from Cadillac Mountain. There are also gluten free and vegan options available. Generous portions are served at every meal, check out their stuffed Blueberry French Toast or lobster benedict. 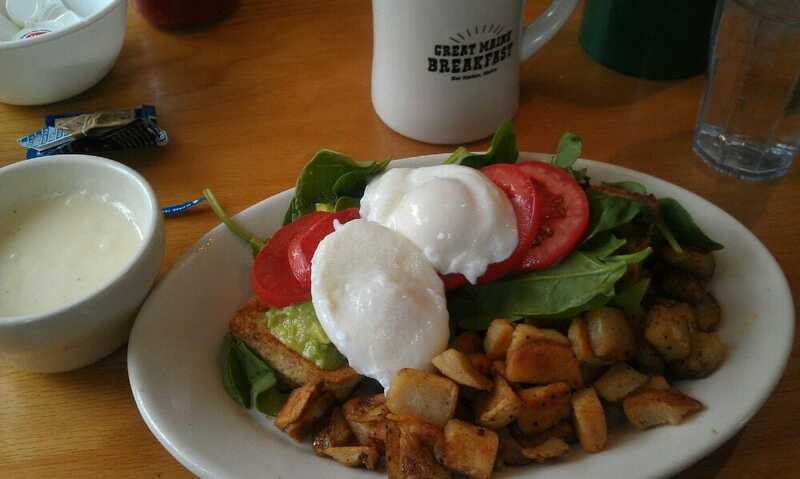 Located on Cottage Street in Bar Harbor, this breakfast joint serves breakfast all day. They originally started by featuring and serving blueberry specials but after opening they later expanded their menu to what it is today. Cottage Street is right out of down town Bar Harbor near the Hannaford Grocery store. They are open seasonally from April to November from 5am to 2pm. Is located on Water Street in Blue Hill on the first floor of the Pendleton building. You will see on the outside that in block letters “Breakfast” is spelled out on the building. The Harbor House is open year round and owner Kathy and crew provide homemade breakfast for all customers in a relaxed cafe setting. You have the option to dine inside or pick a table on the porch. If you’re on the run you can order your food to go as well. The Harbor House provides your regular selections of eggs served in various ways, toast, breakfast sandwiches and other daily special. Riverside cafe originally was located where Serendib is in Ellsworth on State St next to the Union River hence the name Riverside cafe. It has since moved to Main St in Ellsworth and has been thriving for years. Walk in and enjoy one of their many daily specials, sometimes lobster Benedict, other times stuffed blueberry french toast, you name it they have probably served it or have it as an option on their specials list. 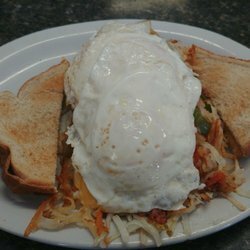 Their full menu offers different combination orders if you would like pancakes, bacon, eggs or toast, or try one of their wonderful omelettes. There are many fillings to choose from. Fresh coffee, cappuccino, and espressos served daily or if you need a little boost in the morning try a Mimosa or Bloody Mary. Besides their delicious breakfast and brunch options they have an assortment of homemade pies to choose from when you walk in through the door. Main St can get busy during the summer traffic so there is additional parking on the back side of the restaurant behind Main St Auto. Along the walls of the restaurant you will also find art work displayed by local artists that are for sale. Sylvia’s cafe is located at the Mill Mall in Ellsworth. The Mill Mall is located on the outskirts of town towards Bangor. This restaurant serves breakfast all day during their open hours it is worth the wait for their delicious homemade food. Fresh home fries right off the grill, a nice mushroom and bacon omelette with extra cheese and wash it down with a chocolate milk. Ahh.. just as I remember it growing up as a kid. Located right over the bridge from Bucksport on Verona Island. You will find freshly baked White, Rye and Raisin Bread made daily! The bread in it self could be the star of the dish. Home made hash, huge homemade waffles and home fries served in this quaint diner makes for the perfect breakfast. Seat yourself among the regulars who have their spots and usual meals in the welcoming environment.